When a species enters an ecosystem that has abundant food, water, and other resources, its population can flourish. Beginning with a few organisms, the population increases until the number of organisms and available resources are in balance. At that point, population growth slows or stops. A graph of these changes over time produces an S-curve, as shown here for coyotes. BEGINNING GROWTH During the first few years, population growth is slow, because there are few adults to produce young. As the population grows, so does the number of breeding adults. EXPONENTIAL GROWTH As the number of adults in the population grows, so does the number of births. The coyote population undergoes exponential growth, quickly increasing in size. CARRYING CAPACITY As resources become less plentiful, the birthrate declines and the death rate may rise. Population growth slows. 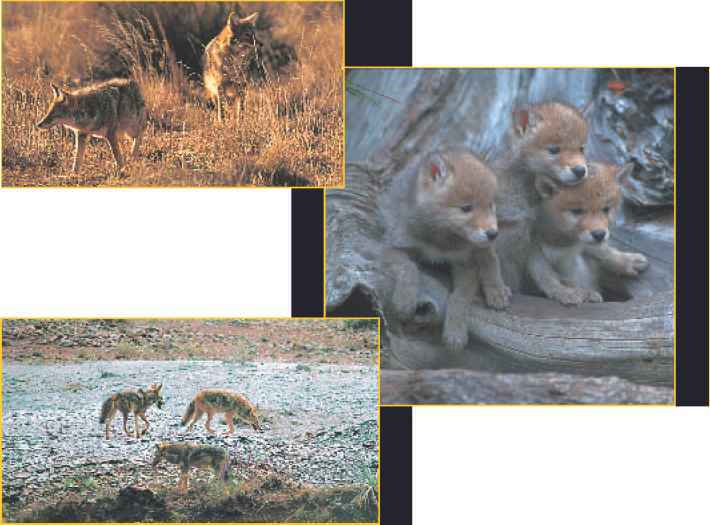 The coyote population has reached the environmental carrying capacity—the maximum number of coyotes that the environment can sustain. Exponential Growth When a species moves into a new area with plenty of food, living space, and other resources, the population grows quickly, in a pattern called exponential growth. 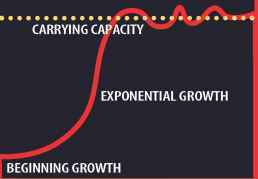 Exponential growth means that the larger a population gets, the faster it grows. Over time, the population will reach the ecosystem's carrying capacity for that species. Figure 10 shows each stage in this pattern of population growth. As a population approaches its ecosystem's carrying capacity, competition for living space and other resources increases. As you can see in Figure 11, Earth's human population shows exponential growth. By the year 2050, the population could reach 9 billion. You probably have read about or experienced some of the competition associated with human population growth, such as freeway traffic jams, crowded subways and buses, or housing shortages. As population density increases, people are forced to live closer to one another. Infectious diseases can spread easily when people are crowded together. 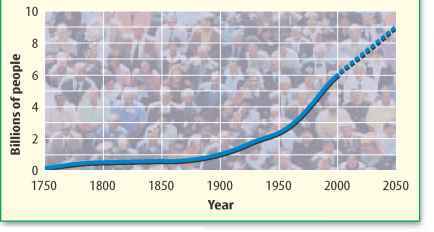 Figure 11 The size of the human population is increasing by about 1.6 percent per year. Identify the factors that affect human population growth. • When more than one organism needs the same resource, competition occurs. • Competition limits population size. • Population density is the number of individuals per unit area. • Limiting factors are resources that restrict population size. 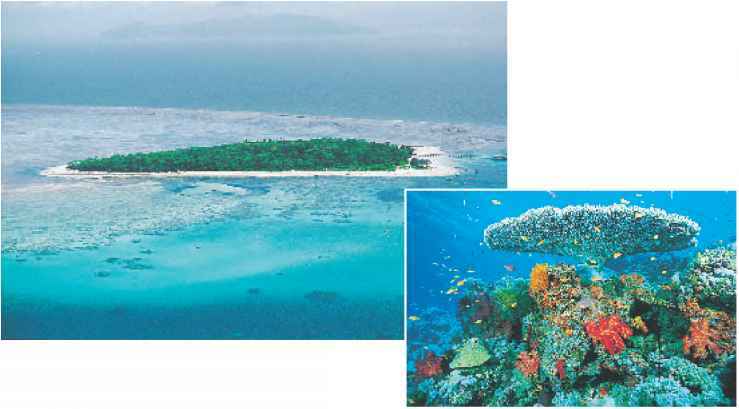 • An ecosystem's carrying capacity is the largest population it can support. • Biotic potential is the highest possible rate of growth for a population. • Birthrates, death rates, and movement from place to place affect population size. 1. Describe three ways in which ecologists can estimate the size of a population. 2. Explain how birthrates and death rates influence the size of a population. 3. Explain how carrying capacity influences the number of organisms in an ecosystem. 4. Think Critically Why are food and water the limiting factors that usually have the greatest effect on population size? 5. Make and use a table on changes in the size of a deer population in Arizona. Use the following data. In 1910 there were 6 deer; in 1915, 36 deer; in 1920, 143 deer; in 1925, 86 deer; and in 1935, 26 deer. Explain what might have caused these changes.